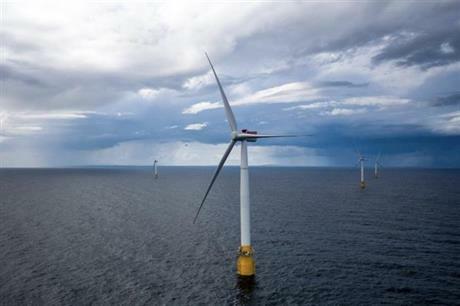 UK: The UK, and in particular Scotland, is well placed to benefit from the growth of the floating offshore wind sector, Hugh McNeal, chief executive, of trade body RenewableUK said at the Floating Offshore Wind conference (14 November) in Glasgow. Opening the event, he said "no one should be in any doubt about the size of the prize" that was on offer, but that seizing it meant taking a lead in developing the supply chain effectively. This was key to opening up the development opportunities and ensuring that the UK was well placed to reap the benefits, as the nascent market grows and becomes global. Hailing the recent inauguration of the Hywind Scotland project off Peterhead, McNeal argued that the development of more such projects was required, in order to drive jobs growth in the sector. Paul Wheelhouse, Scotland's Minister for Business, Innovation and Energy, echoed McNeal's words, describing the opening of Hywind as "a real milestone for the sector". Such projects had the potential to drive costs downwards by 40 to 50% by 2030, he added. Wheelhouse emphasised the importance of maintaining momentum and the need for a continued focus on innovation and supply chain development. From this, tapping the global opportunities offered by floating offshore wind was within reach, especially in places like Japan, California and Indonesia. It was a "gilt-edged opportunity", he added.